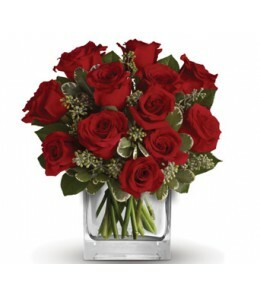 Gloriously romantic, this gorgeous arrangement is definitely a heart-winner. 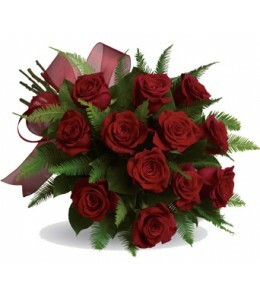 Combine pink and red roses, and they don’t have a chance.Flowers and gift items are subject to seasonal and regional availa.. The one, the only. When you’ve found your single love, celebrate by sending this single rose. 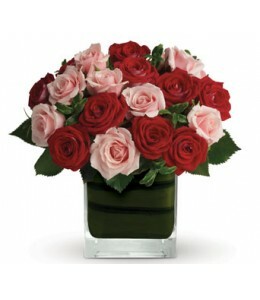 Simple, stunning, sure to take their breath away.Packaging, container and filler foliage may vary from pic.. 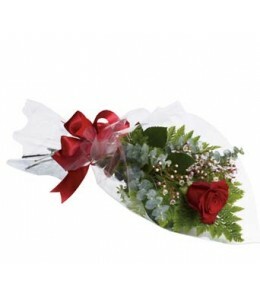 Whether you’d like to send a message of love to a favourite beau, best friend or family member, this charming arrangement will be a lovely sentiment of your affection.Flowers and gift items are subjec..
A lavish tribute to your one true love, this decadent dozen is accented with pretty ribbon and delicate greenery.Flowers are subject to seasonal availability. 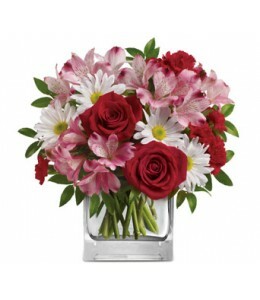 In the event that any of the flowers are ..
Fresh and fabulous, this stylish blend of white daisies,red roses and pink alstroemeria will brighten any occasion. 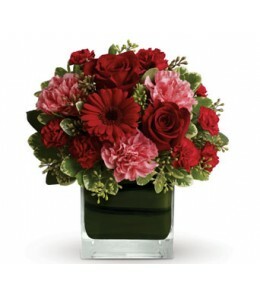 Arranged inside a glass cube, it will be sure to delight.Flowers are subject to seas..